Here we are at CES 2013! 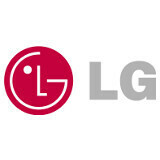 We're opening today's pre-show day (the event officially kicks off tomorrow) with a press conference by LG, the folks who brought you the marvelous Optimus G. But what do they have in store for us in 2013? Well, we hope that's what we're going to find out during this press event. As you probably remember, there were some rumors that we're actually going to see the Optimus G2, but we wouldn't really get our hopes too high about that. So, we guess we'll just have to wait a bit and see what the folks from South Korea are going to wow us with, and you can count on us to keep you informed with our liveblog below. Hold on tight, guys, because the event is going to begin at exactly 8AM PT | 10AM CT | 11AM ET | 4PM GMT! Aww... Too bad no mobiles. Waiting for Sony............ Xperia Z !!!!!!!!! !